Herald Group of Publications Director Marketing Masood Hamid was found dead in his car in Karachi’s DHA Phase-8 late on Friday, as police launched an investigation into the killing. According to initial information, Hamid’s dead body was spotted in his SUV by some passersby who then informed the police. Darakhashan SHO Ghulam Hussain Peerzada said that they moved the body to Jinnah Postgraduate Medical Centre (JPMC) for autopsy where he was identified as Masood Hamid. He said that the area’s residents had told police that they had not heard any gunshot in the vicinity before the body was spotted. The police also found a handgun near the body. Peerzada said that it was unlikely that Hamid had committed suicide because the handgun was placed “neatly” near his body rather than being in his hand. Masood Hamid was a graduate from Karachi University and had done postgraduate courses from IBA (Institute of Business Administration – Karachi) and EPBA Columbia University – USA. He started his profession with Spectrum Communications from 1984 to 1985 and then joined Dawn Group of Newspapers in 1985 as Manager Supplements. 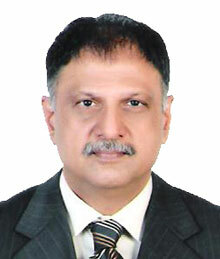 He was appointed General Manager in 1993 and was promoted as Senior General Manager in 2004. He was presently serving as Director Marketing Herald Publications. KILLED BY EVIL FORCES SPONSORS OF IMRANKHAN NIAZI ! WHY ? DAWN HAS BEEN REGULARLY EXPOSING TRAITOR IMRANKHAN FOR LAST 15YRS ..INCLUDING REPORT OF HIGHPOWERED COMMITTEE SET UP 8YRS AGO BY THEN PRESIDENT MUSHARAF –COMMITTEE INTERVEIWED IMRANKHAN – SENT SUMMARY TO DAWN MEDIA –COMMITTEE OF GENERALS AND SENIOUR MOST CIVIL SERVANTS SAID — IMRANKHAN NIAZI MUST NEVER BE OFFERED ANY GOVT POST BECAUSE ALL DOCUMTED EVIDENCE CONFIRMS THAT IMRANKHAN NIAZI IS TOTALLY NOT TO BE TRUSTED … THATS WHY GEN MUSHRAF DID NOT OFFER IMRANKHAN NIAZI EVEN A PEON POST .. PAKISTAN MUST REMOVE NAAPAK ALHARAAM IMRANKHAN NIAZI FROM PAK SOIL .. ONLY THEN PTI CAN FLOURISH AS DEMOCRATIC PARTY ..
Wow! You seem very sure of your accusations. Hopefully the investigators will find out the truth and there will be justice. Difficult job in Karachi where there were 2000 people killed on the street last year. I'm in awe of the regular good people of Karachi who need to live through this. God bless you.